Discovery learning is known as active learning because you participate actively in the learning process rather than passively receiving knowledge as if you are an empty vessel to be filled by the instructor. Discovery learning has been on the educational forefront since the 1940s, when psychologist Jerome Bruner developed the first theories around the idea that perception is an active process. Aligned with the research of Swiss psychologist Jean Piaget (1896-1980), Bruner expanded on the concept that people are better able to remember new information when they are able to connect it to something they already know. Discovery learning is a powerful instructional approach that guides and motivates learners to explore information and concepts, embrace new knowledge, and apply new behaviors back on the job. Discovery learning is an inquiry-based, constructivist learning theory that takes place in problem solving situations where the learner draws on his or her own past experience and existing knowledge to discover facts and relationships and new truths to be learned. Students interact with the world by exploring and manipulating objects, wrestling with questions and controversies, or performing experiments. As a result, students may be more likely to remember concepts and knowledge discovered on their own . Discovery learning can be defined simply as a learning situation in which the principal content of what is to be learned is not given, but must be independently discovered by the learner, making the student an active participant in his learning. It is a learning method that encourages students to ask questions and formulate their own tentative answers, and to deduce general principles from practical examples or experiences. 4- The teacher may give neither the principle which applies nor the solution to the problem- a situation which we shall describe as unguided discovery. Between expository teaching and unguided discovery we have an intermediate area often described as guided discovery. The procedure which we examined for problem solving fall into this intermediate zone. The teacher assists in the recall and application of the relevant principles-in this sense he gives the principles but not the solution of the problem. Discovery learning is based on the assumption that education is a process, not a set of facts. A second attribute of discovery learning is that it encourages students to learn at their own pace .Through discovery learning, some degree of flexibility in sequencing and frequency with learning activities can be achieved. Learning is not a static progression of lessons and activities. This attribute contributes greatly to student motivation and ownership of their learning. 3) Activities to encourage integration of new knowledge into the learner’s existing knowledge base. 4)learning is process-oriented rather than content-oriented,– the focus shifts from the end product, learning content, to the process, how the content is learned. The focus in discovery learning is learning how to analyze and interpret information to understand what is being learned rather than just giving the correct answer from rote memorization. Process-oriented learning can be applied to many different topics instead of producing one correct answer to match one question that is typically found in content-oriented learning. Discovery learning pushes students to a deeper level of understanding. The emphasis is placed on a mastery and application of overarching skills (Bonwell, 1998). 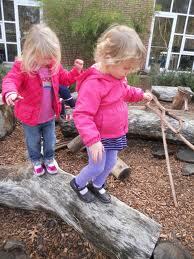 5) Learning is active rather than passive — (Mosca & Howard, 1997), First, in discovery learning, students are active. Learning is not defined as simply absorbing what is being said or read, but actively seeking new knowledge. Students are engaged in hands-on activities that are real problems needing solutions. The students have a purpose for finding answers and learning more (Mosca & Howard, 1997). 6) Failure is important,– , failure in discovery learning is seen as a positive circumstance (Bonwell, 1998). Discovery learning emphasizes the popular lesson learned from Thomas Edison. Thomas Edison is said to have tried 1,200 designs for light bulbs before finding one that worked (Love, 1996). When someone asked Edison if he felt discouraged by so many failures, he responded that he never felt discouraged because he had learned thousands of designs that do not work. Learning occurs even through failure. Discovery learning does not stress getting the right answer. Cognitive psychologists have shown that failure is central to learning (Schank & Cleary, 1994). The focus is learning and just as much learning can be done through failure as success. In fact, if a student does not fail while learning, the student probably has not learned something new (Schank & Cleary, 1994). 7) Feedback is necessary–, an essential part of discovery learning is the opportunity for feedback in the learning process (Bonwell, 1998). Student learning is enhanced, deepened, and made more permanent by discussion of the topic with other learners (Schank & Cleary, 1994). Without the opportunity for feedback, learning is left incomplete. Instead of students learning in isolation, as is typical in the traditional classroom where silence is expected, students are encouraged to discuss their ideas to deepen their understanding. (Bonwell, 1998), and 5) understanding is deeper (Papert, 2000). 5) simulation-based learning. By utilizing these architectures, teachers can build activities to allow their students to discover the desired concepts. Incidental learning is probably the most entertaining form of discovery learning. In incidental learning, students gain knowledge “in passing” Learning is a by-product of an incidental learning task in which the students are engaged. Students typically love participating in incidental learning because many times the task takes the form of a game. Incidental learning activities work well with dull topics and rote memorization because they provide motivation to learn topics or skills that are typically perceived by students as not very interesting but are in the curriculum. Two examples of incidental learning would be to have a classroom game show or to make a crossword puzzle on the desired topic. Incidental learning, because of its game-like quality, can be motivational to students. Students often become interested in the topic of study and look for answers because they want to do the activity and must have the knowledge to do it. Many incidental activities are also suited to students being involved in the creation process; hence, additional discovery opportunities result. Learning by exploring/conversing Learning by exploring is also known as learning by conversing. This type of discovery learning is based on an organized collection of answers to questions individuals can ask about a particular topic or skill. The learning by exploring method is much like the Socratic method of questioning, answering, and In this architecture, curiosity is intended to serve as a dramatic motivational tool. In learning by reflection, students learn to apply higher-level cognitive skills by using an interrogative Learning by reflection allows the student to learn to ask better questions. By learning to ask better questions, the students learn to do more sophisticated analyses. A teacher who employs the learning by reflection architecture typically answers questions with more questions to model how to better ask questions so that answers can be found. The teacher does not answer the student’s question directly. Instead, the teacher leads the student through reflecting on what he or she already knows and then guides the student in finding the answer. Students not familiar with discovery learning find learning by reflection exasperating until they become better at the skill of asking good questions . Learning by reflection requires a great deal of patience on the part of the teacher also because the purpose of this architecture is to discover better lines of questioning and reflect on previous knowledge. Teachers must watch as students struggle and follow errant lines of questioning when seeking an answer. The students must make the mistakes and learn from them in order for their ability to ask sophisticated questions to develop so that they might better reflect on topics. Simulation-based learning is essentially role-playing. Students are given an artificial environment that allows for the opportunity to develop and practice a complex set of skills or witness the application of abstract concepts. The benefit of students learning in a simulation rather than a real-life situation is that time and or the natural environment can be manipulated to guide discovery .Also, students do not have to worry about the impact of failing in a simulation. Technology has played a major role in making simulations easier to incorporate into the classroom. Computers allow for variability in more components of the simulation environment by taking the burden of manually manipulating data. Through technology, simulations can be much more realistic and authentic than without the use of the technology..
Taba and his associates(1964), using a social studies curriculum, for the elementary schools, studied the effect of various teaching strategies on thought processes. The curriculum was organized as series of basic ideas the students were to learn and apply in a variety of contexts. Taba’s major objective was to teach thinking rather than substantive knowledge. She classify thinking as occurring at three levels. Taba believed that these levels describe specific thought processes the student must master in sequential order. When introducing new subject matter, the teacher must recycle the student through the three levels of thought. 1- He provides focusing, which establishes both the topic and the particular angle for its treatment. For example, the teacher makes this statement: “If the desert had all the water it needed, what would happen?” In this way the teacher focuses the ensuing discussion. 2- The teacher extends the thought at the same level. He does this by giving or seeking information or by providing elaboration or clarification on already established thought levels. 3- The teacher lifts the thought to a higher level. He may do this, for example, by asking why something occurs—in this case giving information( the first level) is raised to explanation ( the second level). 4- Finally, the teacher controls thought by assigning a cognitive task for the student to perform. In effect, this final strategy constitutes an expository rather than a discovery mode of teaching. The teacher is classifying information, making inferences, and predicting consequences. In Taba’s program the emphasis is on the acquisition of techniques of problem solving, not on the acquisition of substantive knowledge. She allowed the teacher to perform a variety of functions in response to the student’s needs as evidenced in the quality of verbalized thought. Unfortunately she employed her techniques almost exclusively with groups, so that we do not know how the effectiveness relates to variations in the entering behavior of the students. 1) discovery learning will not cover the course content, – Educators fear that discovery learning will not cover the course content. This belief may stem from the fact that discovery learning is a square peg that is being placed in a round hole. Current curricula for education do not outline broad concepts to be learned. Instead, curricula detail isolated facts that students should know by a certain age . Also, the structure of grade levels hinders discovery learning’s natural progression. Students are given limited days to learn a certain amount of content. Teachers cannot offer the amount of time some students would require to discover the content the teachers are held accountable for teaching . Discovery learning does not work well on the same timeframe or with such specific, fact-based, information. 2) discovery learning will require too much preparation and learning time, — A second reason for a lack of discovery learning strategies in education is the belief that discovery learning will require too much time for preparation and learning. The idea in discovery learning is to teach processing skills so that the initial investment in preparation is high, but the exercises and activities can be used repeatedly with minor adjustments to address different content areas (Bonwell, 1998). The preparation done by the teacher in discovery learning is simply to guide students as they build the investigation skills and then allow their investigation of the topic. Since the skills are easily transferable, creating new lessons do not take a great deal of time. Preparation time should be less, however, learning time will be greater because students must be given time to explore. In the Nelson and Frayer (1972) study, it was noted that the students learning through a discovery learning method spent more time studying the lessons than those in the expository group. With current school structures and curricula, many times it is impossible to allow the time needed for discovery learning. A third barrier to discovery learning is that class sizes are too large or too small for discovery learning. The class sizes are almost always too large to use discovery learning in the way described because of the importance of one-on-one interaction. On the other hand, group interaction is also important so that the collective experiences of the group can assist in the creation of new knowledge; therefore, if class sizes are too small, the collective experiences are limited. The key to addressing this disadvantage is finding the architecture that best fits the circumstances (Bonwell, 1998). In terms of information retention, discovery learning appears to be at least similar to the level found when using traditional teaching methods and possibly increases information retention. Genrally majority of students recalled activities that involved opportunities for experiential learning and higher order applications, characteristics of discovery learning, than activities that involved repetitive, low level seatwork. Students remembered more of what they learned in discovery learning activities than traditional activities. Discovery learning increases student achievement when the students are learning skills rather than facts. The students who were taught with the discovery learning method showed a positive significant difference in achievement on pre- and post-tests measuring anthropological understandings over those students taught using the lecture method. Rachel Mabie and Matt Baker in 1996 also showed an increase in achievement with their study of students learning about nutrition. They found that the traditional methods were found to be significantly better for achievement; however, the content taught in the Nelson and Fayer and Peters studies measured fact-based information and did not provide for open-ended responses that are more consistent with the discovery learning method. The fourth area of discovery learning versus traditional learning is transference. D. W. Chambers (1971) did a study that compared discovery learning with overlearning. Overlearning is a traditional method of drill and practice in which students practice a skill many times. Chambers found that students learning with the overlearning method were better at transferring what they had learned than those who learned the concept through discovery learning. This study is greatly flawed due to the topic the students were learning which was rote memorization of math facts. Again, the fact that discovery learning does not work well with rote memorization impacted this study greatly. The chief advantage of discovery learning is that questioning and solving problems without expecting someone to give you the answer enables you develop confidence in your own ability to handle problems in this area, which in turn encourages you to go further. Active learning supports the belief that knowledge can be constructed by you rather than received from a higher authority. Active learning puts the responsibility on you. When you are placed in the position of having to figure out a problem, you are much more likely to take charge of your own learning. In discovery learning] active learning results in “episodic memory,” a deeper kind of memory specific to an event so that if you cannot at first remember the idea or technique you can reconstruct it from the event. This way discovery learning can be more motivating, incorporating the pleasures of solving puzzles and controlling an environment. Gagne (1970) also repudiates the notion that a discovery method of learning if constantly used wil finally result in the individual’s making the great discovery. Lastly, incorporating all of these differences, discovery learning provides for deeper learning opportunities. Learners internalize concepts when they go through a natural progression to understand them (Papert, 2000). Discovery learning is a natural part of human beings. People are born with curiosities and needs that drive them to learn. Infants learn to talk by discovery. They listen to others around them talk, mimic sounds, and try putting together the pieces of language they have discovered (Percy, 1954). The infant develops a deep understanding of language by figuring it out one piece at a time. In discovery learning you are forced to confront your current ideas about the subject, many of which may be misconceptions, and reconcile them with what you now observe to be the case, because you are able to see the principles actually at work, you have a better grasp of the ideas. In discovery learning you learned in a context similar to the eventual context of use you will be able to recognize an opportunity to use the information more easily, because you began connecting the information to the “real world” its value is clearer to you.